Cockroaches are true masters of survival. They are incredibly adept at getting into homes and making themselves welcome. Do not think that roaches are only found in lower class houses or districts. These little monsters are everywhere and are spreading. Once a roach moves in they are extremely difficult to remove. 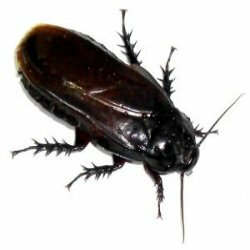 If you do have a roach problem you would be well advised to seek the help of a professional and get them out as quickly as possible. There are more than 3500 known species of cockroaches. The largest roach in the world lives in South America. These insects can have a one foot wing span and grow to be 6 inches long. It is estimated that at any time there are more than one quadrillion (1 000 000 000 000 000) ants on the planet. They live on every continent of the world except Antarctica. They are both invasive and adaptable insects, which is why they have been around for millions of years. Not all ants sting. Wood ants and black ants spray formic acid. 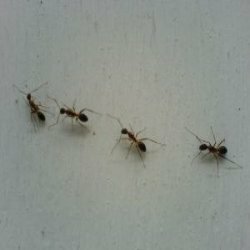 There are over 12500 recognised species of ants. All ants have six jointed legs. They have three body sections the abdomen, the thorax and the head. Ants have a pair of antennae which they use for both touching and smelling objects.